Is Electricity Too Expensive in Nigeria? – Royal Times of Nigeria. For the past few days, residents of Maiduguri have made a rather unique complaint about their power supply. While Nigerians are usually rightfully indignant about the lack of sufficient electricity in most parts of the country, Maiduguri residents instead complained about having a 24-hour power supply. Yes, you heard that right. Residents of Maiduguri argued that the increase in electricity supply would not benefit them in any way. 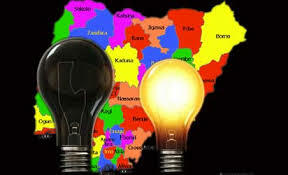 The reason residents of Maiduguri protested the increase, however, had little to do with the increase itself and more to do with the corresponding increase in electricity bills. One resident described the increase in power supply as “wastage” because many residents cannot use electricity during working hours. What this suggests is first of all that we have become so accustomed to unreliable supplies of electricity that our lifestyles are unable to support the costs that inevitably come with more electricity supply. Clearly this is a significant problem, as constant power outages negatively affect businesses and households alike, causing equipment damage and loss of stored computer data. Therefore, we should not be so accustomed to the very power outages that in the long-term cost us a lot more money than we save by avoiding electricity bills. On the opposite end, this also suggests that the national living wage is not enough to support a household with a 24-hour supply of electricity. This is another issue that the government needs to address while simultaneously tackling the issue of energy poverty. However, it would appear that the real issue here is the lack of an efficient system with which to measure electricity consumption and then charge the household in question accordingly. Indeed, residents of Maiduguri did complain that the billing process is “opaque and lacks transparency”. Therefore, the lack of sufficient electricity meters creates an opening for corruption, exploitation, or just outright incorrect billing of residents all over the country. In response to these challenges, Alhaji Usman Wakta, the Business Manager of Yola Electricity Distribution Company Maiduguri, energy companies go to individuals’ homes and do load assessments. Again, this issue creates an opening for incorrect billing, as the employees of such companies will have to analyse each individual gadget meticulously to determine usage. The Maiduguri case shows us that having constant electricity supply is not as simple as fixing broken gas pipelines or issues with evacuation and supply. To support 24-hour electricity supply in the future, the government would first need to see to the mandatory provision of electricity meters to all households. In addition to that, we as a nation must launch an internal probe into the billing processes used by electricity companies in order to weed out any corruption involved in the billing process. Constant electricity is by no means too expensive for us.